Dave Nevison is doing, every day, what thousands of punters dream of doing - living the dream of life as a professional gambler. Since taking the plunge in 1993, Nevison has made his living, a very good living, from backing racehorses. 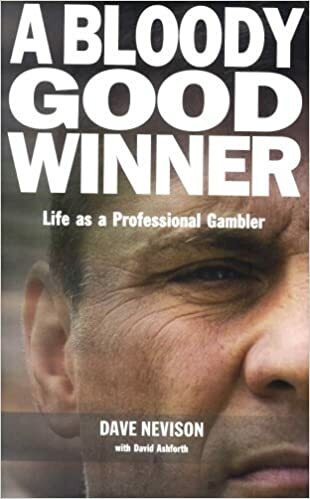 He has taken on the best bookmakers in the world, and won. It has not been easy, or a smooth journey, but a roller-coaster ride full of spectacular highs and testing lows. Nevison's frank account is full of entertaining stories of his rumbustious life, and reveals how he has succeeded while most punters fail. Heed what Nevison has to say and you will become a better bettor; ignore it, and you will still have been richly entertained, for his is a life out of the ordinary.